There are a couple of posts (one blog post and one discussion), but I'm still not understanding the precise mechanics of setting up testing. I don't know if I'm setting up the Test module correctly (I show a series of screenshots below). When I add a "testing" module, my test class doesn't "see" my main Activity classes (see below). 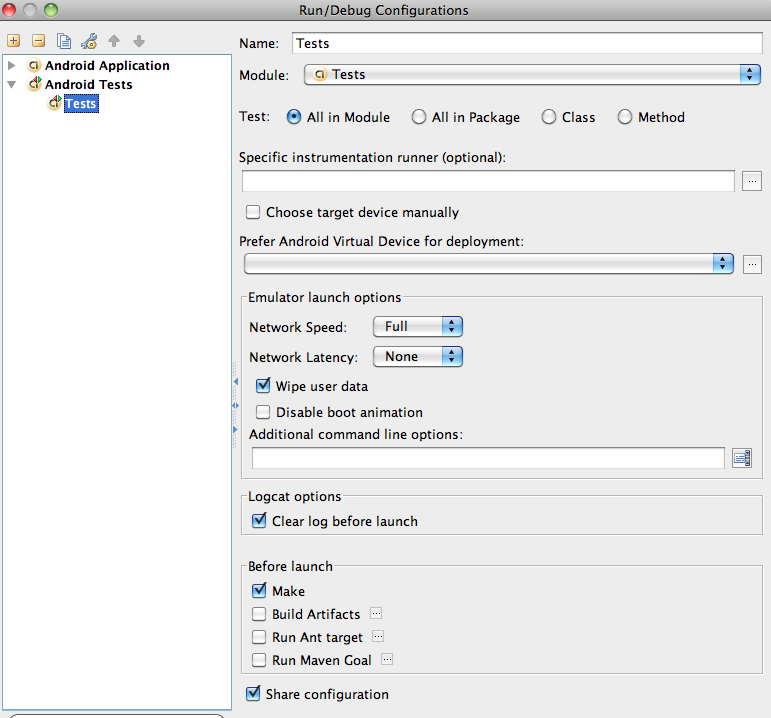 I have set up an Android project (for simplicity I'm just using the HelloWorld Android app outlined here). The blog post says that I need to add a new module to my existing Android project and that the new module should be named "Tests". The post then shows this dialog screen (test-module). However, I never see anything that resembles the screenshot above. 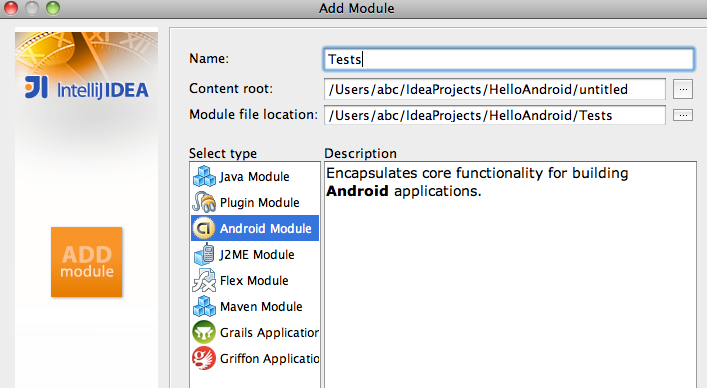 One initial problem is that my class HelloAndroid (which is in the main module) is not seen by the Tests module. Thoughts on where I've gone wrong?? Turns out you need IntelliJ X (10). As far as I can tell, 9 doesn't have this feature.